MOSCOW, December 27. /TASS/. The United States’ new defense spending law is a clear hint that Washington’s missile defense plans are aimed at disrupting the nuclear parity with Russia, Russian Foreign Ministry spokeswoman Maria Zakharova said on Tuesday. "A large section of the bill is devoted to missile defense matters. Whereas before the US missile defense was tasked to ward off potential limited strikes against the United Sates, now it is to provide effective and multi-tiered protection from a missile attack," she said. "In other words, the tales about a nuclear threat from Iran and North Korea that we were being told for so long in attempts to persuade us the deployment of missile interceptors was a vital need have now been brushed aside. It has been stated outright that Washington’s plans are far wider and aimed at upsetting the nuclear parity with Russia in order to achieve unilateral advantages in the strategic sphere." 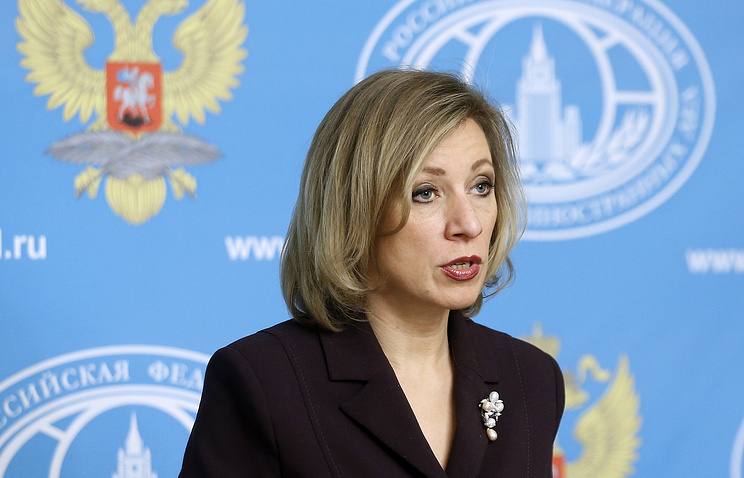 Zakharova pointed to other provisions of the law, which concern Russian interests, including the groundless charges Russia is in breach of the INF treaty and far-fetched concerns over Russia’s compliance with the START and the Treaty on Open Skies. "The main thing is that from all this the conclusion is derived it is necessary to speed up work on weapons under the US Prompt Global Strike concept," she said. "In other words, Washington is indulging in saber rattling." The defense spending bill that President Barack Obama signed into law on December 23 envisages measures to enhance the US missile defense potential and supply portable anti-aircraft missiles to the Syrian Opposition and contains charges Russia is in breach of the INF and Open Sky treaties. 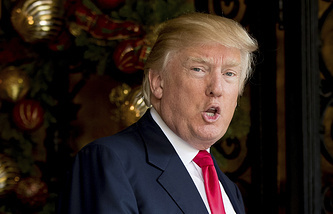 "On the whole one has the impression that by adopting this law Barack Obama’s outgoing Administration is trying to plant a mine under a future Donald Trump Administration, thereby making it harder to conduct its foreign policy and - in combination with the feverish imposition of new sanctions - to dictate to its vicious anti-Russian policy further on." "That policy has led all those presently in the White House, who suppose Russia can be pressured, to a dead end," Zakharova said. "We do hope that those who will take over will be wiser."